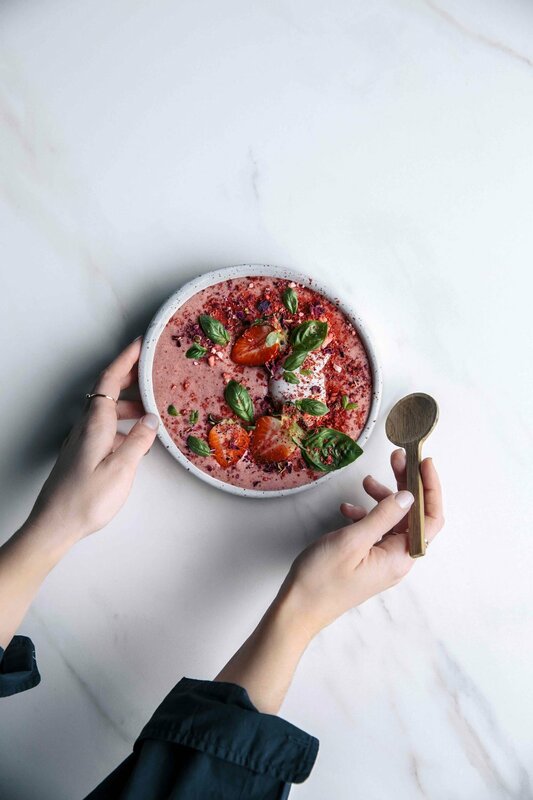 Strawberry + Basil Smoothie Bowl — ALTERNATIVE WAY CO.
Next in the 3 part recipe series from Ashley at Gather and Feast is this super fun berry smoothie recipe. Strawberries are always a favourite and the vibrant colour is a bonus. This time the addition of Basil doTerra essential oil is a surprisingly delicious combination. If you haven't yet tried, adding essential oils to your cooking will be a lot of fun. They offer such a unique flavour profile that you won't find anywhere else. Fresh or freeze dried strawberries, toasted coconut, torn basil leaves.